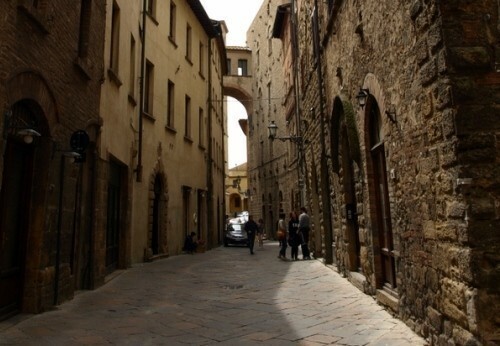 For many, Volterra is famous mostly as one of the locations in Stephenie Meyer's Twilight series. 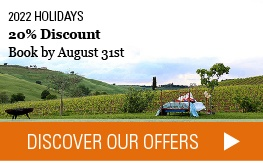 But the city has an ancient history and is a hidden touristic jewel in Tuscany. Arriving to Volterra is in itself worthwhile, for the winding road offers beautiful views of Tuscany's famous rolling hills. 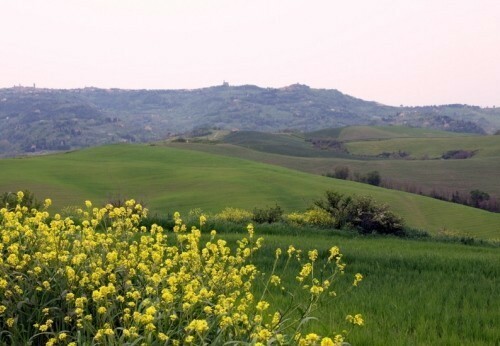 Volterra was given the honorary title of 'city' in April 2013 – not because of its population, which is around 11,000, but because of its rich historical patrimony. 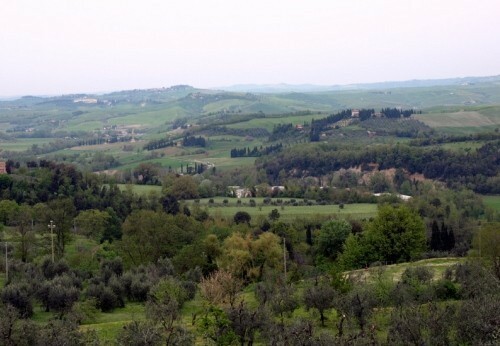 Volterra was conquered by the Romans around 260 B.C.E. 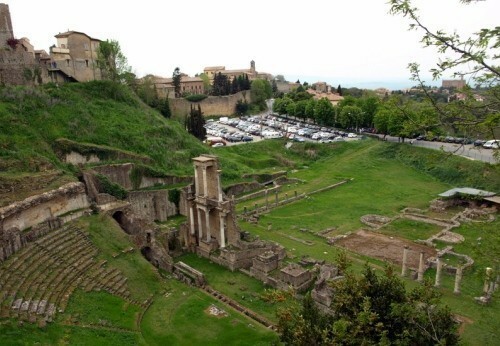 From the city's Roman period there remain the ruins of an ancient theater. Going forward in time, the city's central plaza (“Piazza dei Priori”) stands out for the building after which it is named (Palazzo dei Priori) which is now Volterra's city hall. This is the most ancient medieval building in the city, built in 1239, and served as a model for the famous Palazzo Vecchio in Florence. The room where town leaders meet (Sala del Consiglio) is open to the public and frescoed with a mid-14th-century Annunciation attributed to Jacopo di Cione or his brother Orcagna. 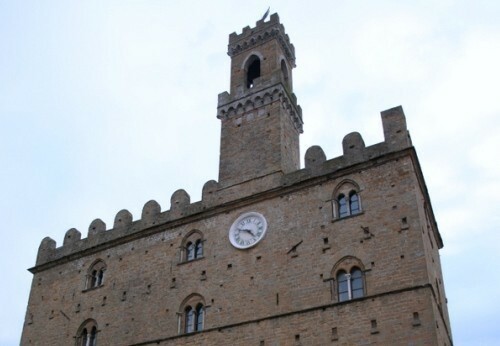 Volterra also has important buildings from the Renaissance, most notably the Medicean fortress and the cathedral (Duomo). Speaking of art, one thing not to miss in Volterra is the local Pinacoteca. The collection is interesting enough, but the most impressive paintings are Luca Signorelli's Madonna and Child with Saints and, even more so, Rosso Fiorentino's Deposition (1521). Volterra would be a worthwhile place to visit just to see Rosso Fiorentino's painting: a full-blown work of mannerist style that strikes the viewer with its apparent modernity, complexity of composition, vivid colors and striking depiction of tragedy. Another worthwhile thing to see in Volterra is the alabaster workshops. Alabaster is a stone similar to marble but more malleable, which is mined from beneath Volterra and has been crafted since Etruscan times. You can see artisans at work in workshops, and buy beautiful souvenirs: from paper weights to chess boards and life-size guitars. 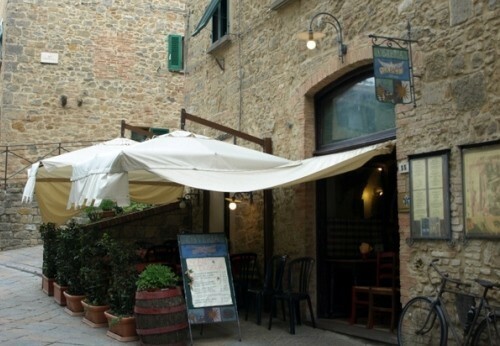 Finally, Volterra is a charming small city, so you can enjoy just walking around its narrow streets. 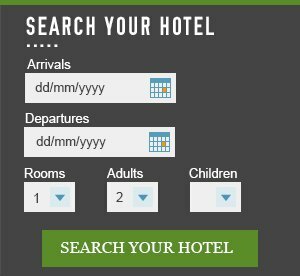 Volterra can be visited in one day. For lunch or dinner, go to “Osteria La Pace” for traditional dishes and hand-made pasta at reasonable prices (gluten-free pasta available). Finally, may I again emphasize the beauty of the surrounding landscape?